Budget does not have to equal compromise. 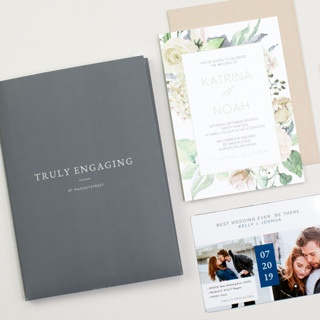 There are plenty of ways to cut costs and still get the perfect save the date. We’ve learned a few tricks by helping over 30,000 couples each year find exactly what they want. 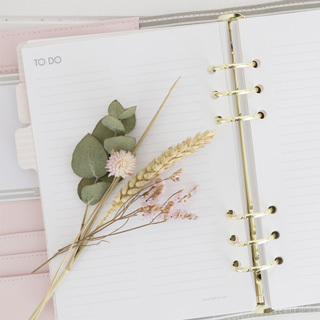 If you’re looking for every opportunity to save money, read on as we reveal 7 ways to save on your save the dates. Save the Date Postcards mail at the USPS Postcard rate—​20 cents less than the USPS First-Class letter rate. While it might sound like pinching pennies, these savings really add up once you multiply it by 100 or more. 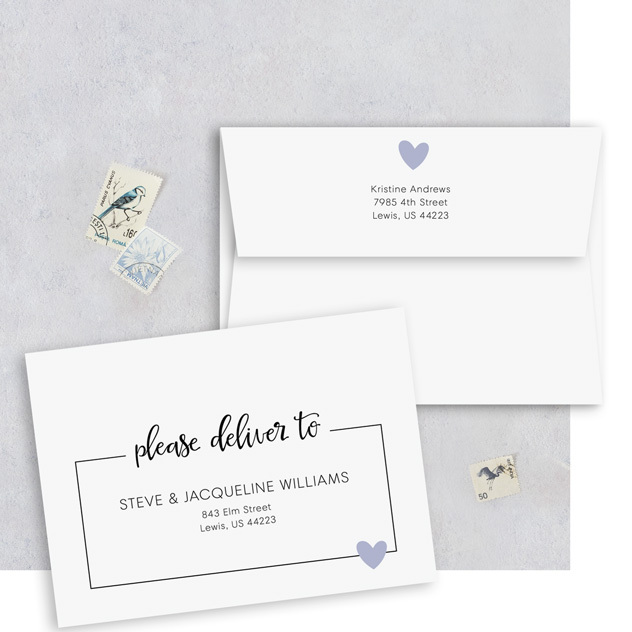 How Much Will Postcards Save You On Postage? 20¢ x 200 postcards = $40 savings! 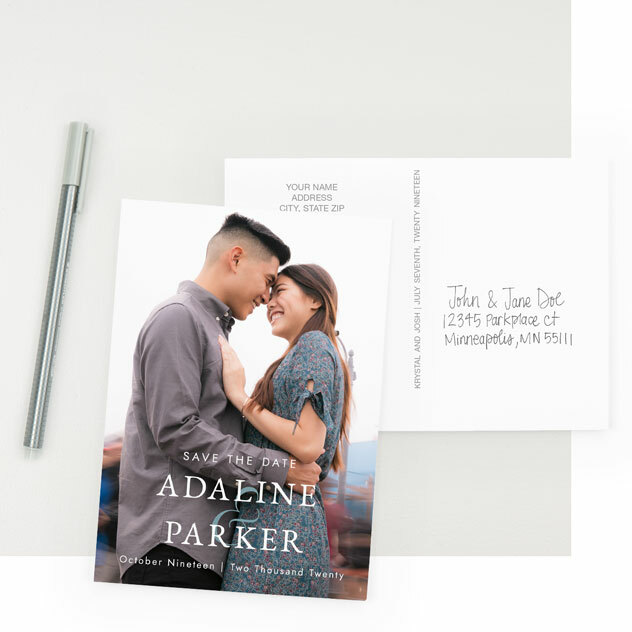 Save the Date Cards can cost up to 40¢ less than their Magnet counterparts, which adds up fast once you multiply that by 100 or more. From luxe satin to triple thick, you’re bound to find a card type that suits your style. 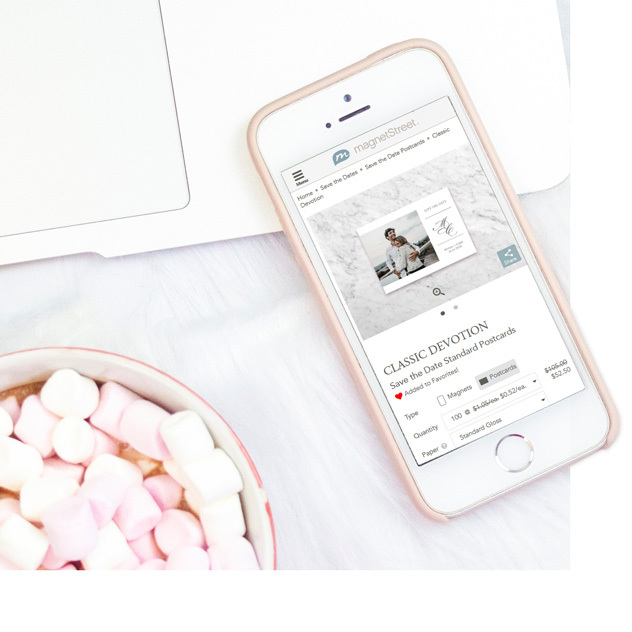 How Much Can Cards Save You On Your Order? 40¢ x 200 cards = $80 savings! 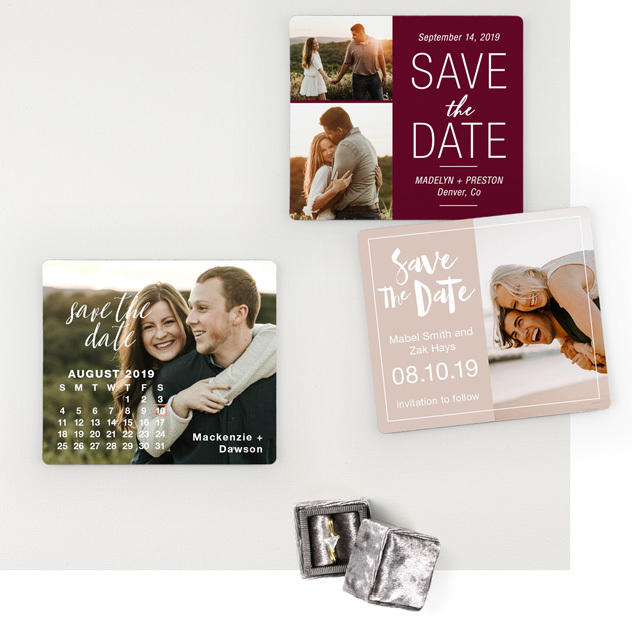 Since the post office charges more to mail items that weigh more than 1 oz., it’s important to check how much certain Save the Dates weigh before ordering. You can check online, call the stationer, or order a sample and weigh it at your post office (with envelope). If your heart is set on a magnet, don’t sweat! 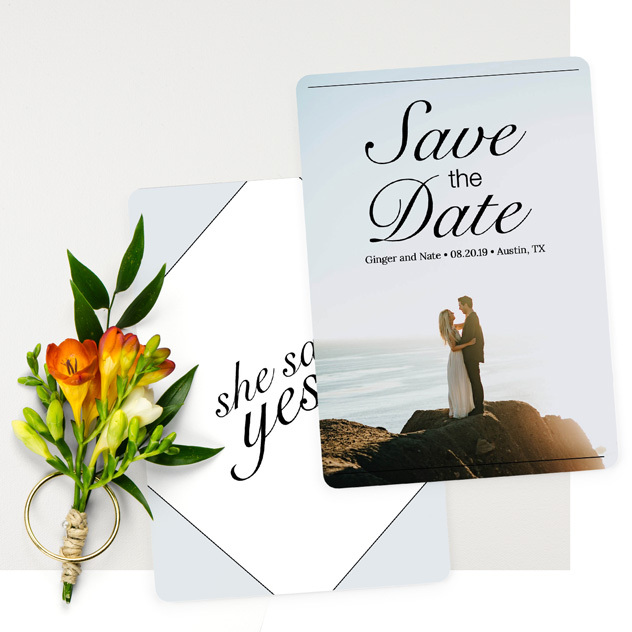 There are plenty of Save the Date Magnets out there that weigh in at less than 1 oz. Your budget may not allow for 200 magnets, but why not order 100 cards and 100 magnets? 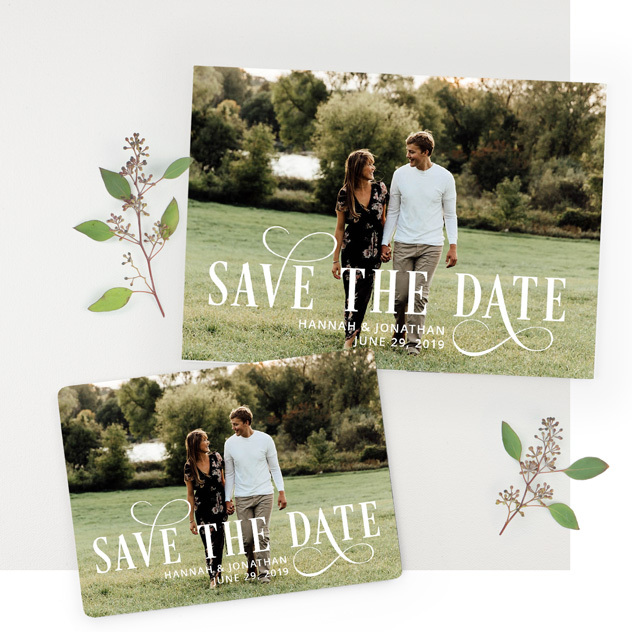 Many Save the Date designs come in a variety of magnet and card options, making it easy to pick one design, then apply your personalized colors, photo, etc. to both the card and magnet versions. While Square Save the Dates are unique and modern, the post office charges about 20¢ more to mail square-shaped items. To be safe, skip the square if you’re on a budget. To achieve that “square” look without the matching hike in postage, order a Classic Magnet, which measures in at 3.5" x 4". 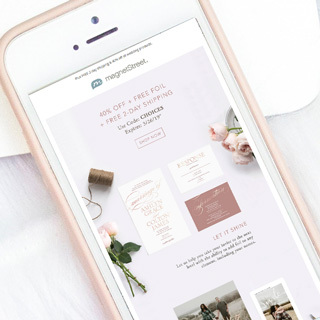 If you’re closely watching your budget, it’s OK to send Save the Dates only to your wedding party, close family, and good friends. 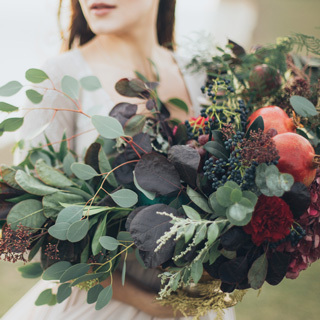 You could still send out a link to your wedding website to the remaining guests. They’ll receive your invitation later, which is most important anyways. 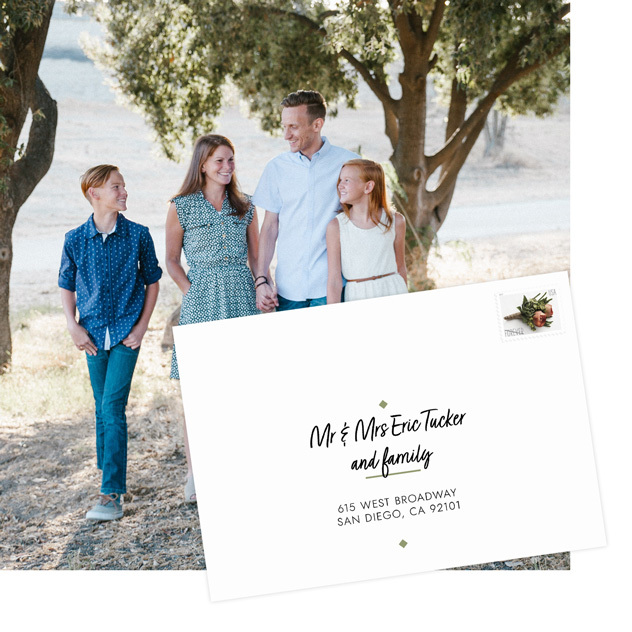 If you send out holiday cards every year, why not combine your holiday letter and Save the Date into one? You’ll save big on postage costs that way. 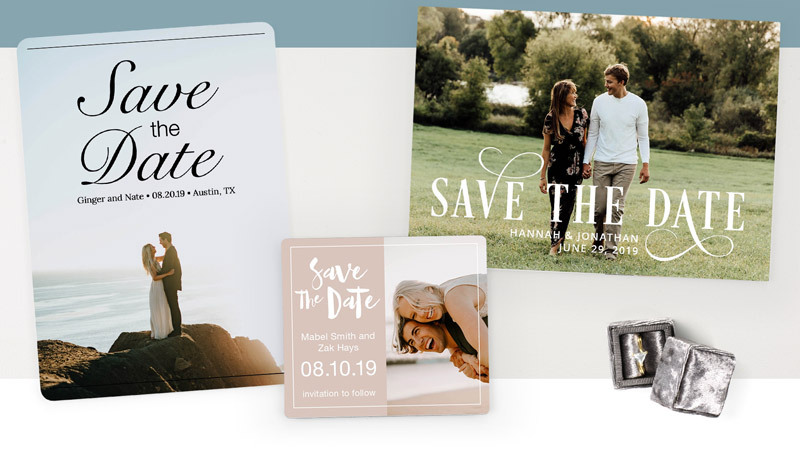 Nothing is worse than getting your Save the Date in the mail and realizing—​oops!—​there’s a typo, or the colors are off. Through our Custom Sample program, you can save the cash (and stress!) of re-ordering by seeing your design in person first.